The Runaways blew me away tonight. There’s so many things I loved about it, but most of all the way Kristen Stewart and Dakota Fanning bring to life two people who my generation haven’t gotten to know. 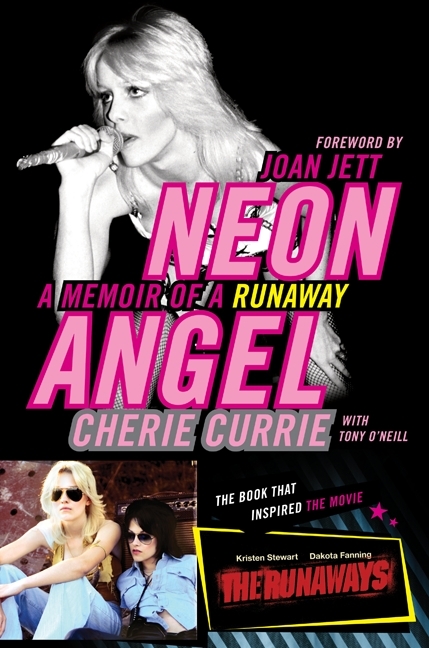 The Runaways movie avoids gimmicky story-telling and lets the lives of Joan Jett and Cherie Currie be told in a way that feels honest. This movie is harsh, brazen, passionate, and electrifying. It is full of meaning, confusion, epic highs and deep lows. It progresses in a way that feels chaotic but natural – which leads me to believe that this movie is as real and authentic as it could get. As the audience, you go from square one with Joan and Cherie. Joan starts out as someone asking for a chance. By the end of the film you see her fight to keep her dreams alive, and she’s not asking – she’s telling the world who she is and what she stands for. You see Cherie go from an innocent fifteen year old dolled up in a club, to a rock and roll superstar with more fame than she knows what to do with. The set up is dangerous and it’s clever. There’s Joan who’s dreamed of this life and this career. She’s ready and willing to dive in head first. Then there’s Cherie who gets discovered, but gets fame thrown in her face. She isn’t expecting what is suddenly expected of her. 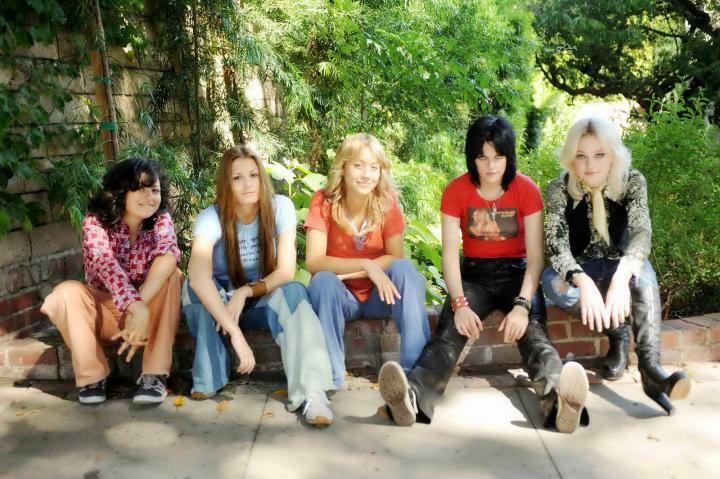 The transitions in The Runaways paint an accurate picture of the disconnect between the quiet suburban life these girls had beforehand and the lifestyle of a rock and roll band. The girls go from practicing in a trailer to playing sold out shows in Japan. Joan goes from being an aspiring musician to what holds The Runaways together. Cherie goes from being a little girl to one who all too quickly grows up. The cuts between Cheri’s modest family home and five-star hotels tell us without the use of words how much the lives of these girls have changed and how quickly. The Runaways doesn’t shy away from any detail, in fact, it seems to focus in on gritty pivotal snapshots. There’s alcohol in water guns, there’s hook ups and growing up, and there are lots of drugs. The mishaps and mistakes that happen along the way are what make this story believable. It seems heartbreaking but necessary for The Runaways movie to really strike the audience the way it does. I like that this movie didn’t wash over these kinds of details and chose instead to mark them clearly as stepping-stones in the stages of this band’s life together. Amidst all the chaos, you see this bond form between Joan and Cherie that is simple and beautiful. While Kristen Stewart and Dakota Fanning both give phenomenal performances in this movie, I think their biggest success is in the way they interact on-screen. They experience what it’s like to be a rock star individually but together, and they lean on each other because of that. Kristen gives Joan’s character this kind of unfailing strength and perseverance while Dakota Fanning responds with the portrayal of an imperfect young Cherie who’s just trying to grow up but not let it happen too quickly. The music of The Runaways was the best part of the movie for me. I didn’t really know many of their songs before seeing the movie, so it was great to see some raw 70’s rock being revitalized. Dakota is so good in “Cherry Bomb” – it defines Cherie in the context of the film, and it definitely resonates with the turmoil she goes through. I also loved “Dead End Justice” that Kristen and Dakota both sing lead vocals for. Between the flashing lights, the electric guitar blaring, and their lyrics bouncing back and forth, it was an overwhelming spectacle to witness. It’s raw and edgy rock that you fall in love with instantly. I’d recommend this movie to anyone who wants to see what Kristen Stewart is really made of or to anyone who loves rock and roll. This movie has done well and will continue to do well because it tells The Runaways’ story in a way that is meaningful to people on different levels. It will mean something to you if you’re a fan of Kristen or Dakota, if you love the original 70’s Runaways band, or if you simply love music and the amazing stories it can tell about people’s lives. The Runaways tells us about a band that mattered and will continue to matter today with their story being retold.